There is no other position in Football as popular as that of a Quarterback. And that’s why the quarterback gets the most time under the spotlight and consequently everything else that comes along with the fame attached to it. That’s why we’re going to talk about the best football equipment for quarterbacks. After all, if you play the most crucial position in the game, shouldn’t you have all the tools and equipment needed to help you perform at your best each and every time you step into the field? 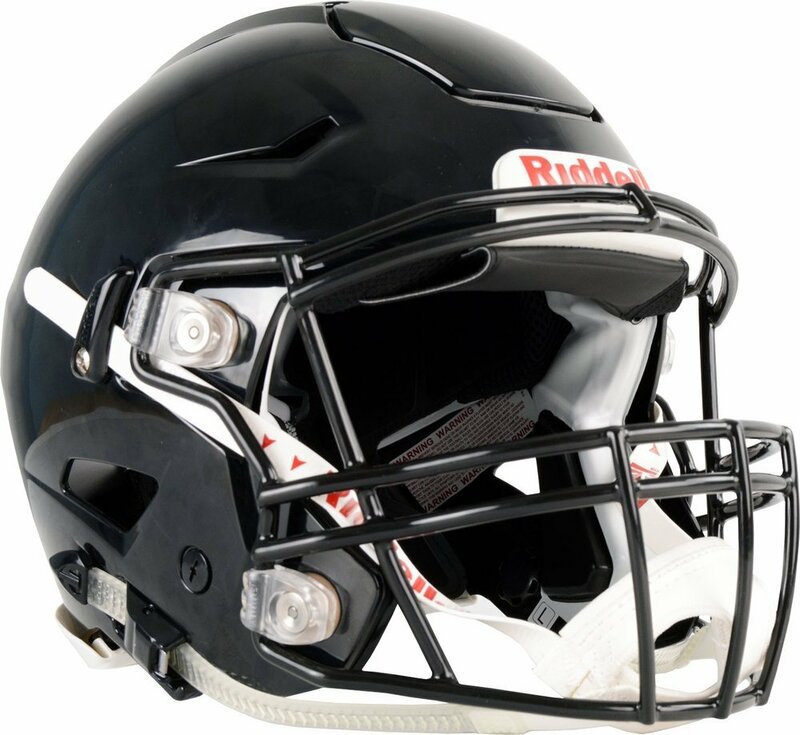 Before we start, let’s try to enumerate the best football equipment for quarterbacks starting from the most essential down to the accessories. We definitely have to talk about cleats, body protection, gloves and finally accessories. A quarterback’s main role is to dictate the pace and direction of the game. So, there is more of a mental aspect to the game over it just being a purely physical one. Now just because the Quarterback has to focus on the mental aspect of the game more doesn’t mean he should ignore the physical qualities of it. He needs as much protection as he can afford without affecting his natural movement in a negative way. So, the best football equipment for quarterbacks has to be light and unrestrictive. Nike continues to be the top pick for most Pro and Amateur players as it provides the most comfort while giving the best protection to any player’s feet. Nike Vapor Untouchable Pro 3 is favored by skills positions. The reason for this is because the Nike Vapors are very comfortable to wear and it has highly effective cleats that can help you dig deep into the turf or launch you through the field without any resistance. 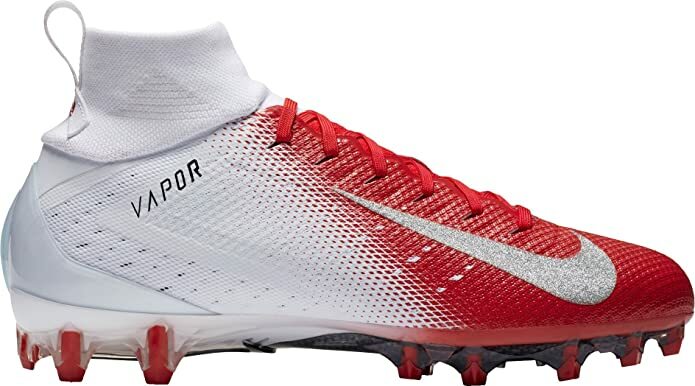 It also helps that the Nike Vapor Untouchables are equipped with the Carbon Fiber plate that helps wrap your feet in a virtual second layer of protective skin. Adding to that, there’s also the 4D foam bed that redistributes weight evenly providing the perfect energy dispersion agent within the shoe. 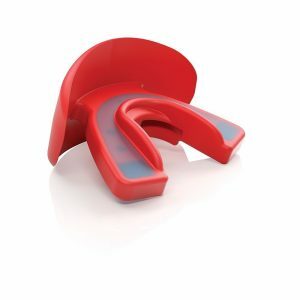 Last but not the least, the 3D molded tongue helps keep everything in place so you can avoid any unwanted movement within the shoe that could lead to damage to the toes. Since the Quarterback needs to have complete control of his senses and mental faculties, it is only logical that he should protect his head above all the other body parts he has. 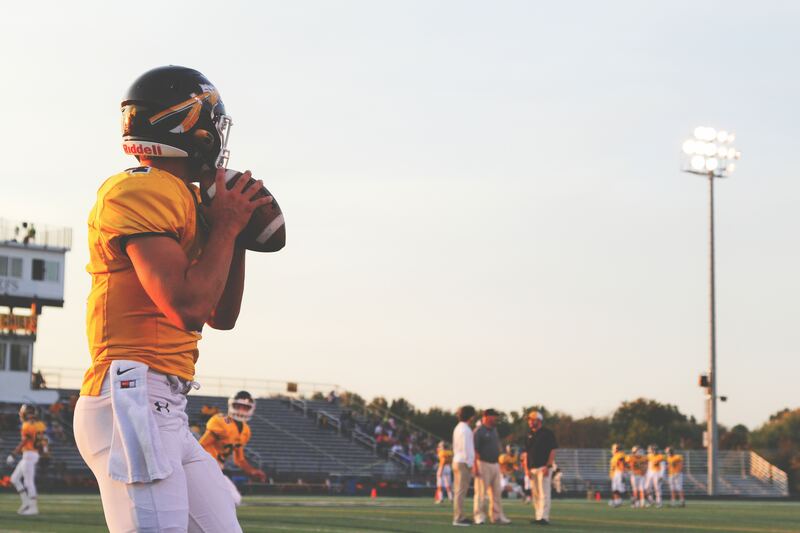 The most physical aspect of the game for a Quarterback is the ability to receive the ball and quickly pass it on to any open receivers in the field. 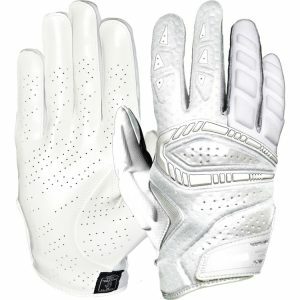 Therefore, he not only needs gloves that can protect his hands from incurring any damage but these gloves have to also allow him to grab and throw the pigskin through the air with ease. For this, you should get the Cutters Gamer All Purpose Gloves as they provide the most traction and protection to your hands. The Cutters Gamer All Purpose Gloves are also heavily padded on the outside to reduce damage taken from any impacts expected on the field. 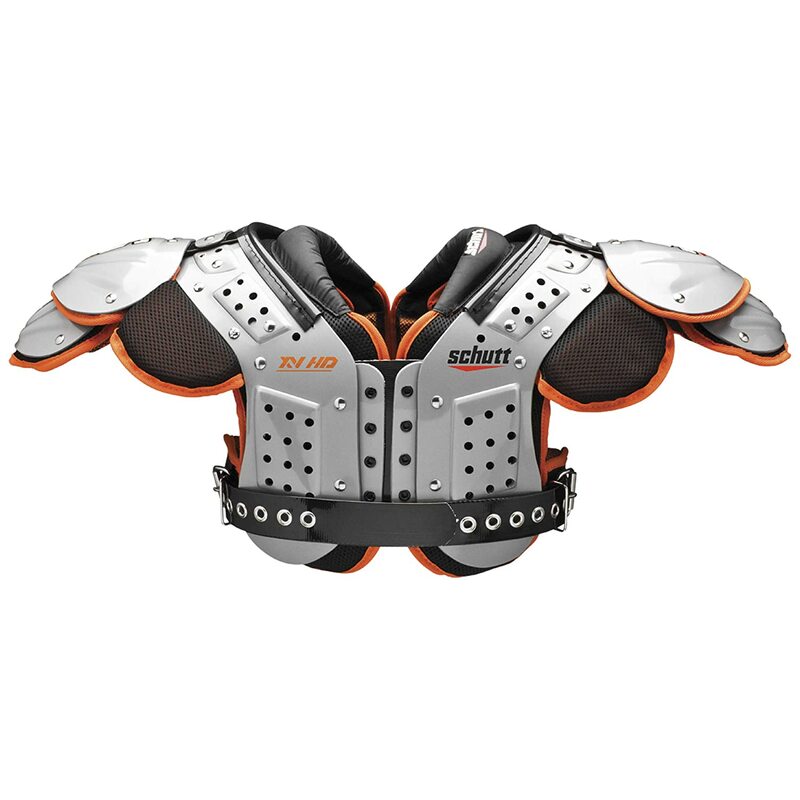 Shoulder pads are useful to avoid shoulder injuries but they can be an obstruction to your free range of movement if you don’t have shoulder pads specifically made for your position. You see, you need to be able to position your arm in any way possible to launch the ball through the air effectively. You can’t do this if your shoulder pads are too big and they get in the way. So, for quarterbacks, your shoulder pads should pile high on top of your shoulders and not have any extra material hanging over your arms to allow for a full range of motions with your arms. The Gear Pro-Tec Z-Cool Shoulder Pad is the one most suited for Quarterbacks as it does not restrict movement in any way while providing the most protection possible to the shoulder area. These shoulder pads are made of high grade, impact resistant plastic on the outside and padded on the inside. The shoulder flaps are untied so they move out of the way easily when you move your arms. Being the Quarterback automatically puts a target on you. You’re obviously the first person the other team has to (and wants to) take out in order to thwart your game plan. If your defense gets broken and the other team gets through, you can expect a whole world of hurt coming your way. Unless you have padding all throughout your body of course! For Body Padding, go with Champro Man Up 7 pad body padding. 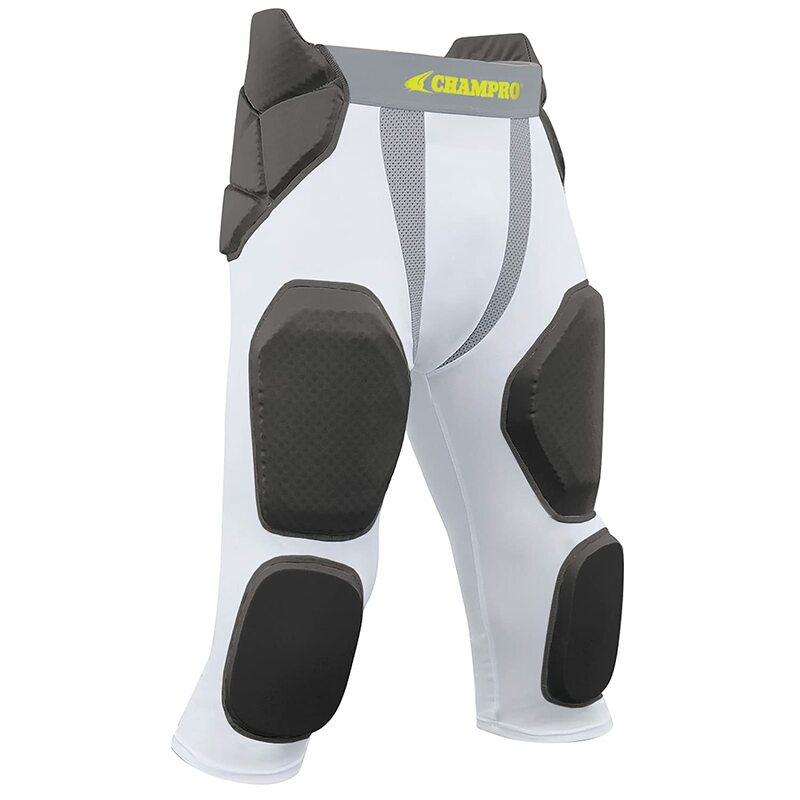 This is an all encompassing body padding that does not restrict your full range of movement. Impacts taken to any part of the body is immediately dispersed all throughout the material to effectively minimize any damage taken. This is also a very light material that does very little to add to your total weight. Being the most popular guy on the field means you’re going to get a lot of interviews after a match. You’ll need to stay pretty for those interviews. Do yourself a favor and get a mouthpiece. At least you’ll be able to flash a toothy grin with a complete set of teeth even if you’ve just gone through what is comparable to getting run over by a truck when you’re in front of the cameras. The Shock Doctor Adult Low Profile Lip Guard should do the trick. Not only does this protect your teeth but it also protects your lips. So that’s a two in one product that does its job very well. You. Don’t. Want. To. Get. Hit. There. So, do yourself a favor and wear a cup. Accidents can happen and getting hit in the most sensitive part of your body is going to knock you out for a loop. You don’t want that. Your team doesn’t want that. And any missed time on the field while you’re recuperating is a missed opportunity to set up an effective play. As a Quarterback, you don’t want to sit in the sidelines as your team struggles through the competition. The Shock Doctor Core Supporter with BioFlex Cup should be able to protect you nicely. You won’t have to worry about the cup falling out of position as the BioFlex Cup is designed to adjust with your body like a second layer of skin. A second layer of skin that’s as tough as a Rhino’s hide, that is! So there you go. Keep your wits about you, your eyes sharp and your throwing arm cocked and ready to let loose without having to worry too much about your protection with the best equipment you can possibly have as a Quarterback! Also check out our EliteGearGuide for Linebackers in 2019!